Ants are one of the most common pests found in homes. Once the ants are controlled inside your home we use a 100% organic granular product that we sprinkle around the perimeter of your house. It’s made up of naturally occurring minerals that ants find delicious and are a normal part of the environment and even part of the human diet. I’ve watched a line of ants ravaging a piece of bread stop cold in their tracks after I sprinkled some granules around the bread. They immediately forgot about the bread and attacked the granules. Not only is it effective but it’s ½ as toxic to the environment as common table sugar. The ants take the granular bait back to their colony and it kills the entire colony. 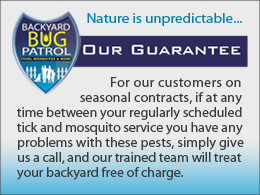 If at any time you have any problems with ants no worries, we have our guarantee, simply give us a call and we will come out and retreat. 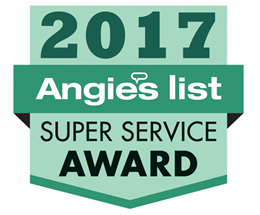 We pride ourselves on having the best customer service in the pest control industry. Our Ant Barrier program will kill Argentine Ants, Carpenter Ants, Thief Ants, Pharaoh Ants, Little Black Ants, Pavement Ants, Odorous House Ants, Crazy Ants. In an ant colony there are three different types of ants: The queen, the female workers, and the males. The queen and the males have wings, while the workers don’t have wings. The queen is the only ant that can lay eggs. While short lived, the male ant’s sole job is to mate with future queen ants. They die shortly after fulfilling their “duty”. Once the queen grows to be an adult, she will spend her entire life laying eggs. Sometimes colonies can have more than one queen. Soldier ants protect the queen and defend the colony. They are also in charge of gathering food. Most ant problems can be treated from the outside of your house. If you have an ant problem in the house, upon close inspection of the exterior foundation of your home you’ll usually find a trail of ants leading inside. Also check for branches or bushed close to the house or look for trails climbing up a deck or other support. Most of the ant species listed above are just nuisances. Some, like sugar ants get into your pantry and can contaminate your food with ant poop, while others like carpenter ants can completely devastate your house. Carpenters ants can cause a lot of damage to your home. 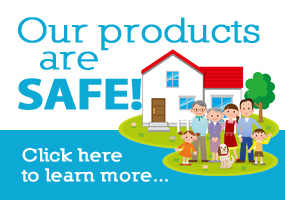 If left untreated they can cause serious structural damage to houses and buildings. Carpenter ants generally nest in living or dead trees but will take up residence in moist wood exposed to the elements in your home. They chew holes into the wood grain to form their nests which provides tunnels so the ants can move from section to section of the nest. Fire ants cause a different set of problems. Not only will they bite and leave a nasty welt but they are a bit more difficult to kill. Stronger solutions are necessary.